On Friday 21st October, we took part in Forever Manchester’s baking extravaganza, Caketober, to raise money for the charity. Throughout October, Forever Manchester are encouraging people across the city to embrace their inner Mary Berry and bake and sell their creations to raise money. As keen supporters of both Forever Manchester and baked goods, we were excited to hold our own Caketober day. 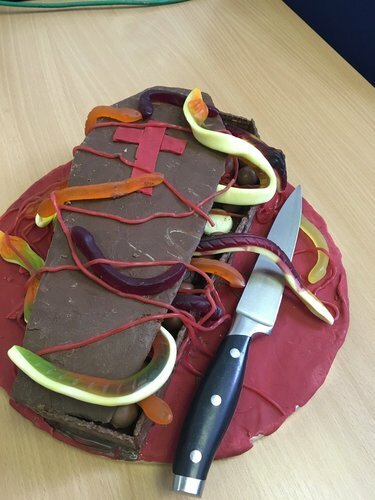 Together, we baked a variety of tasty treats, including chocolate brownies, banana bread and a Halloween-inspired showstopper made by consultant Matt Goddard. Matt's scary sponge went down a treat! We sold our bakes to our hungry colleagues throughout the day and raised £86.00 for Forever Manchester.